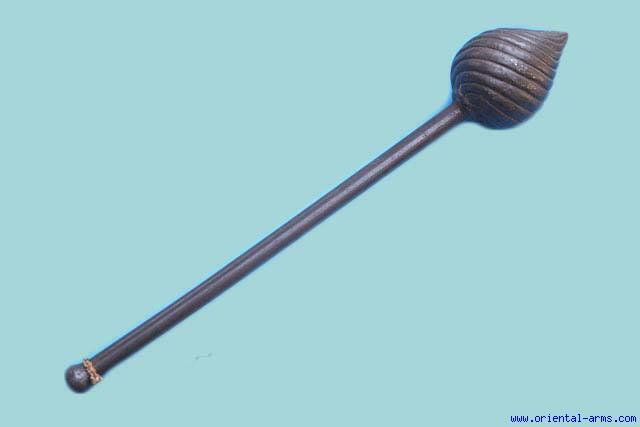 This Rare whole steel mace is Indian, 18 C. , probably central or south India. Light weight spirally ribbed steel head 7 X 5 inches. Steel haft. Total length 28 inches. Very good condition. Very rare.